The Abbott Marshlands boast a long and rich human history. As shown by archaeological studies, Native Americans began to inhabit the area 13,000 years ago. Artifacts from archaeological sites surrounding the marsh reflect innovations in American Indian technology throughout the Delaware Valley over the past 13,000 years, and the overall changes in life and culture with which they are associated. For most of that time, natives made their living through hunting, fishing, and gathering wild foods. But Indian cultures 10,000 years ago were very different from those 5,000 years ago, as were the environments in which these ancient peoples lived. 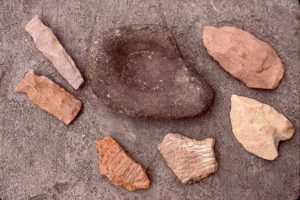 The oldest traces of Native Americans appear to be from small groups of hunters who were nomadic in order to take advantage of seasonal food resources by hunting, fishing, or gathering plant material. As the vegetation changed and the Oak – Hickory forest developed, the population in the area increased, eventually leading to more permanent settlements along the bluffs surrounding the Marshlands. Archaeology provides only faint and often indirect glimpses of Indian technologies based entirely on organic, perishable materials like hides, wood, and plant fibers. Impressions on pottery hint at the variety of textiles or fabrics that were made over the past 3,000 years. The bow and arrow, so intimately associated with American Indians in the mind of the public, was introduced and adopted sometime between 600 AD and 900 AD. 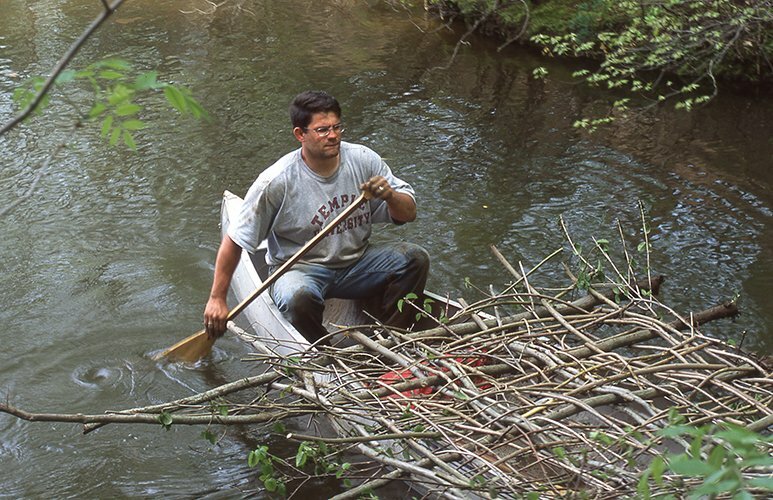 There are a large number of wetland and terrestrial plants native to the local area that American Indians may have found useful for food, medicines, and raw materials for producing things like baskets, cordage, nets and other textiles. After 900 AD, many native cultures began using maize (corn), a domesticated crop originally developed in Central America, and was followed after 1300 AD by domesticated beans. Traditional hunting, fishing and gathering pursuits were not abandoned, but simply adjusted in ways that reflect an accommodation to the requirements of farming. Collections of Native American artifacts can be seen at the NJ State Museum in Trenton.